Retaining customers and keeping them loyal to your product or service is a real headache for most businesses. The competition becomes more visible, new products and services come to the market quicker, therefore keeping and winning customers is tougher than ever. That’s where our 3-step Dealer Marketing solutions can help. We have developed a set of products that allow you to offer your distributors, dealers or customer network a suite of complementary products to help them sell and feel supported. Your sales network most needs literature, point of sale and digital material (websites etc) and ongoing support to sell your products. This can take up a great deal of their time and very often stretch their capabilities and knowledge. What better way to support them than to provide all of the above via their trusted partner….you! We put in place a tailored web-to-print system that includes all of your literature and point-of-sale solutions. All items can then be made bespoke to your customer needs – logo, colours, their own company information, contact details etc. Once you and your customer or dealer are happy with the result, you simply press ‘print’. Your customers print or POS items are produced and delivered to their door. All done at a pre-defined, fixed cost and timescale. Just like our print system, we create brand specific ‘design wrappers and templates’. Your customers then choose the one they want, we brand it to ‘make it theirs’ and feed in your products. Your customer or dealer gets a professional website, with all your products in place at a fraction of the cost, in double quick time. 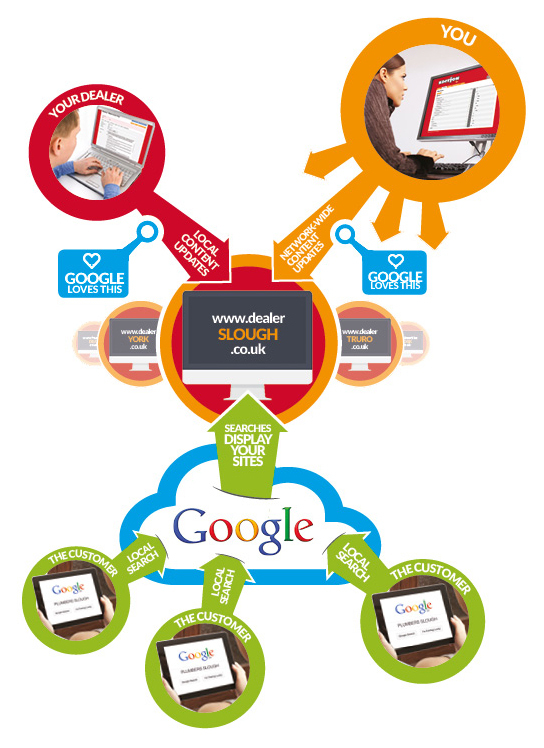 We then provide ongoing support to ensure their site stays visible in Google and generates leads. Your dealers or customers like nothing better than qualified cheap leads. It’s a real lifeline nowadays. Our lead generation tools and support packages generate traffic to websites and genuine leads. Pay as you go or annual contracts provide flexibility and a chance for you and your customers to ‘test the water’. Combine the above with various above-the-line services, harness it with our marketing support solutions and bolt-on our loyalty scheme and you’ll soon be elevated to super-hero status. It’s simple – your customers buy your products and instantly gain ‘your’ loyalty points. They then redeem them for marketing support goods. This leads to them buying more products because they love you! How easy is that? 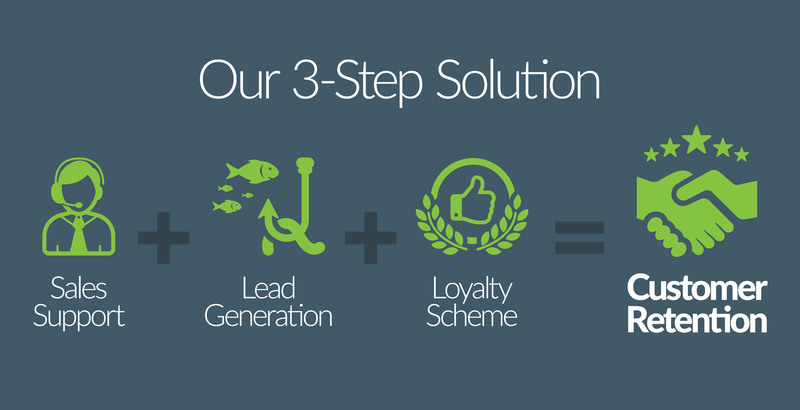 Our loyalty scheme is a tried and tested, robust system that can be tailored to your business. We’ll integrate your customer information, creating customer accounts automatically and cleansing the data as we go. Then we’ll get every customer or dealer ready to roll and as soon as they buy a product they see their points start to grow! Interested in how we can help your dealer network?